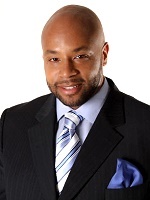 Ramon Tookes is a real estate investor, coach, author, wealth builder, public speaker, radio celebrity and developer with 20+ years of experience in the industry. Ramon currently oversees the daily operations of The Tookes Group, a firm that he founded in 2005, specializing in real estate investment consulting. Ramon has been surrounded by entrepreneurs for his entire life. He watched his grandfather build many successful businesses, his father amassed a respectable real estate portfolio and his uncles had a lucrative contractor business. Ramon began his entrepreneurial career as a teenager when he started his own lawn care service and car wash. He inked his first real estate deal as a freshman in college and financed his college career with the proceeds from his real estate investments. To satisfy his passion for philanthropy he introduced his 2-day signature event, Flipology101 Bootcamp,as a medium by empowering others to utilize real estate as a viable wealth building vehicle. Flipologyis defined just as it sounds “The science of flipping houses”. During this intense learning experience he introduces his proven strategies and tactics, along with his entire team comprised of a closing attorney, credit specialist, Realtor partner, lender partners, and more to his students. He has since expanded this brand to encompass Flipology402: Buy & Hold, Flipololgy401: Passive Income, Flipology201: Wholesalingand other valuable, educational opportunities. He has added one more medium to his educational and informational platform: radio! He recently launched a weekly radio show, FlipologyRadio: Late Night Real Estate Talk Show, where he brings on featured guests to talk about different aspects of his favorite topic! Because Ramon knows and understands that real estate investing is just one piece to the puzzle of living a complete and wealthy life, he hosted “Wealth Builders 2017”,a conference that encouraged attendees to “Inspire wealthy thoughts! Learn wealthy tactics! Perform wealthy actions! And live a wealthy life!” Wealth Builderswill be an annual, one-day, life changing event held every January! This visionary entrepreneur earned his BS in Criminal Justice from Georgia State University and his Juris Doctorate (JD) from Emory Law School. Although he started out wanting to become the next Johnnie Cochran, his passion for real estate was undeniable and continues to grow and intensify daily. Born and raised in Atlanta, GA, he is the proud father of five children and enjoys reading, sports, and travel.